National Girlfriends Day was August 1st, but we here at Vegas Girls Night Out feel the entire month of August is made for your squad. It’s a great time to get together and plan a girls’ getaway trip to Las Vegas, where you can bond over crazy antics or relax for some girlfriend time. After all, our girlfriends are the ones that keep our secrets and keep us sane when the world feels chaotic. So, why go to Vegas Girls Night Out to help plan your next trip? 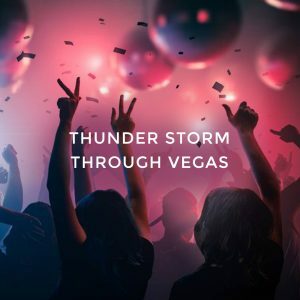 We were founded by Las Vegas native, Bri Steck, who loved Sin City so much, women were always asking her how to get into clubs, where to go for dinner or what show to see. She was asked so much and so often, that she decided to create a place where women could get expert help to plan their Vegas trip. And that’s how Vegas Girls Night out was born. Unlike other party planning companies, Vegas Girls Night Out is boutique concierge service designed exclusively for women by women. We are here to help YOU plan the perfect girls’ getaway with a list of fabulous party package options you won’t find anywhere else! Here are our top party package picks. This party package has you & your squad arriving at Australia’s Thunder from Down Under in style. You’ll get VIP seating at the show and a one-way Mini Strip Tour with photo-op at the famous Welcome to Las Vegas Sign. All this while sipping on a complimentary bottle of champagne. But the drinks don’t stop there; this option also includes VIP Club Hopper entry to a few of Vegas best nightclubs and open bar. If you’re looking for a little more out of the Thunder storm, check out the Girls’ Night Outback package. Here you’ll get preferred seating at Australia’s Thunder from Down Under, plus you’ll learn a new skill. That’s right; you’ll take a Night School 4 Girls pole dancing & strip tease class that will show you moves to make the man in your life drool. But that’s not all; you’ll get a diploma certifying your accomplishment & a swag bag full of goodies. We haven’t left out the drinks either with the VIP Club Hooper entry & open bar. Still not satisfied? Then try out the Gimme More package, which includes a ticket to see Britney Spears LIVE and a ticket to see the hot men of Australia’s Thunder from Down Under. Plus, you’ll get to swing around on the pole with Night School 4 Girls and still have time to party & drink with our VIP Club Hopper entry. Are you & your friends just looking for hot men? 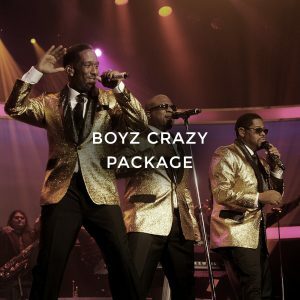 Then, our Boyz Crazy package is for you! This package includes a ticket to see Grammy Award Winning R&B group Boyz II Men, a ticket to see Australia’s Thunder from Down Under & VIP Club Hopper entry with open bar. Still wondering what else we have to offer? The answer is much, much more! Vegas Girls Night Out is your one stop shop to plan your Las Vegas girls’ getaway. Give us a call at 702.701.7778 or check out our website to see what other packages we have to offer. And remember you don’t have to plan your girls’ getaway alone – we’re here to help!